In the second instalment of The Terror Table's Book Club series, Mitch, Buzi, Courtney and Tara gather around the Table to share insights and spoiler free reviews on the books that they have read over the last month. The titles discussed this month include The Hellbound Heart by Clive Barker, Black Hole by Charles Burns, Cannabalism by Bill Schutte, Thor by Wayne Smith, A Serial Killers Daughter by Kerri Rawson, The Green River Killer by Jeff Jensen and Jonathan Case, The Cabin at the End of the World by Paul Tremblay, The Hiding Place by C.J Tudor, End of Watch by Stephen King, Pet Semetary by Stephen King and The Betrayal series by R.L Stein. The Terror Table analyzes, review and discusses what they took away from Jordan Peeles latest horror film, US. But before that the boys share their thoughts on what they have been seeing/playing over the last few weeks which includes titles like LOVE, DEATH AND ROBOTS, SEKIRO:SHADOWS DIE TWICE, DEVIL MAY CRY 5, CAPTAIN MARVEL, SKEETERS, XTRO, ALIEN: CONTAINMENT, WHAT WE DO IN THE SHADOWS(TV Series), HORROR NOIRE, THE TWILIGHT ZONE, Q, THE CELL, MIDNIGHT MEAT TRAIN and DRAGGED ACROSS CONCRETE. Mitch and Buzi welcome back returning guest and homie KYLE ZUREVINSKI for a deep dive into Kyle's film pick of the week, PERFECT BLUE. Before the potentially most in depth conversation of a feature that the Table has had in a while, the boys discuss what they have been watching which includes titles like IT COMES AT NIGHT, SEARCHING, VENOM, MANDY, CLIMAX, SUSPIRIA, HEREDITARY, GOOSEBUMPS 2, SEASON OF THE WITCH, THE WOODS, THE CRAFT and HANSEL AND GRETEL: WITCH HUNTERS. Other titles discussed include GRABBERS, BYZANTIUM, PONTYPOOL, THE HALLOW, THE HIDDEN, THE POSSESSION OF DAVID O'RILEY, HOUSEBOUND, THE DARK NIGHT OF THE SCARECROW, HUMANOIDS FROM THE DEEP, THE RESURRECTED, MAD MAX:FURY ROAD, BRINGING OUT THE DEAD, HALLOWEEN 2 and AMERICAN PIE 2?? The Terror Table gets learneded and talks about books for an entire episode! Mitch and Buzi welcome returning guests Tara and Courtney for the first edition of BOOK CLUB! 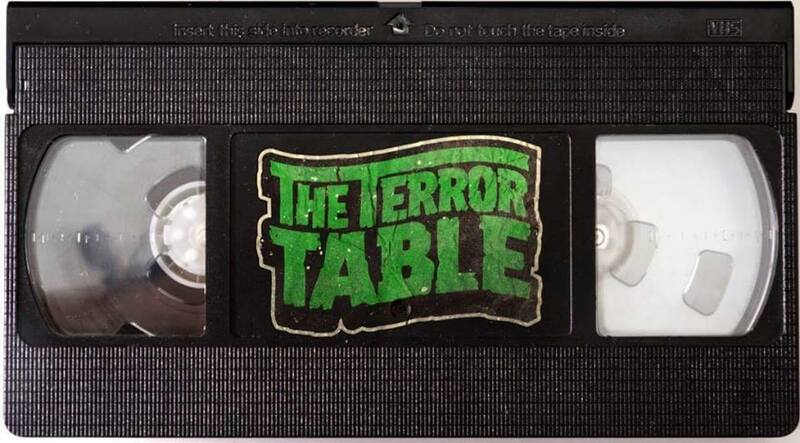 The table discusses their introductions into the literary world followed by in depth reviews of KUBRICK RED, MY SISTER, THE SERIAL KILLER, THE MOST DANGEROUS ANIMAL OF ALL and THE HAUNTING OF HILL HOUSE. The Terror Table concludes their creature Feature series with Diego's pick of the week, RAWHEAD REX(1986) SPIDER-MAN: INTO THE SPIDER-VERSE, INSIDIOUS: THE LAST KEY, METRO EXODUS, JOJO'S BIZARRE ADVENTURE, JUMP FORCE, SUSPIRIA, POLAR, OVERLORD, LORENA, WOLFENSTEIN and ANACONDAS: HUNT FOR THE BLOOD ORCHID. Mitch and Buzi welcome back returning guests MIKE FISHER(Sask Expo) and JOHN ALLISON(Saskatoon Fantastic Film Festival) to discuss what genre titles they have been consuming. For the main feature, the guys have a passionate discussion on Stephen Kings MAXIMUM OVERDRIVE. 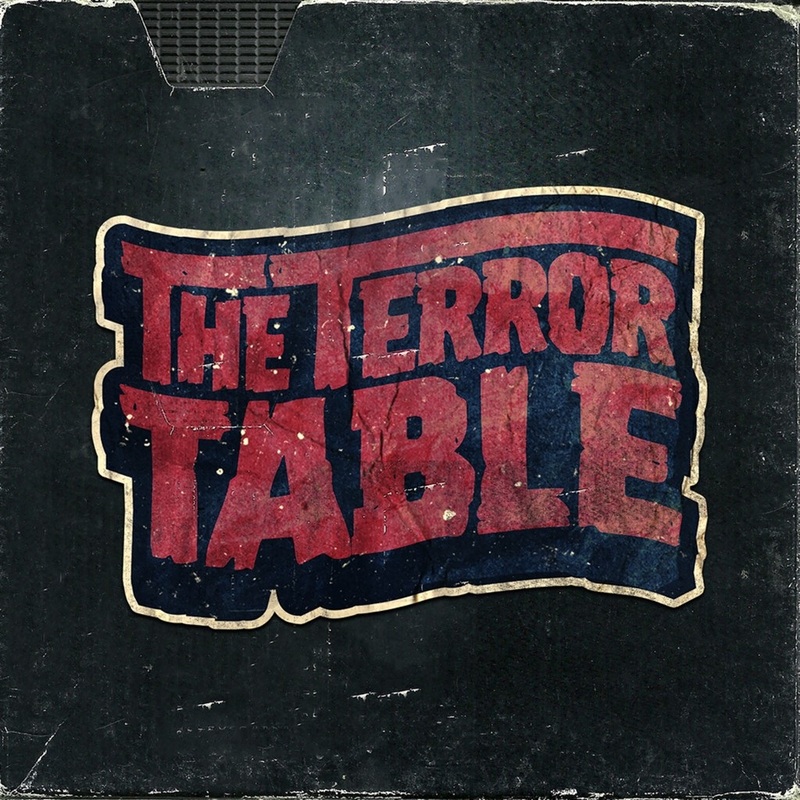 The Terror Table continues their series on creature Features with Buzi's pick SPLINTER(2008) Other titles discussed include Abducted in plain sight, Drag Me to hell, Baki, Dark Souls 3, maniac, ghost stories, Don’t move, This house has people in it, Unedited footage of a bear, Nightcrawler, xtro 2, the Resident Evil Franchise, Resident Evil 4 and Velvet Buzzsaw.